To be mindful isn’t just some line said by a Jedi in a Star Wars movie. It is an active state of attention on your present moment. Continuously, we learn to observe thoughts and feelings, but not to judging them. Practicing mindfulness seeks to live in the moment and actually experience even the most trivial sensations. In today’s age people find themselves working a great deal more than they have in the past and the jobs are more often on the inside of a building. The reality is, you may be working for some time and in your working life it is essential to develop the best habits possible to keep both your mind and body thriving. One key way to help keep yourself strong both physically and mentally is through mindfulness. This may sound like a 1960’s hippy scene, but it actually originated in Buddhist traditions and recent studies have shown just how valuable these techniques can be. Practicing mindfulness has shown to enhance emotional intelligence, particularly your own self-awareness and the capacity to manage your emotions. If that’s not enough, being more mindful can reduce your stress, lower blood pressure, improve memory, help overcome depression, and decrease anxiety. 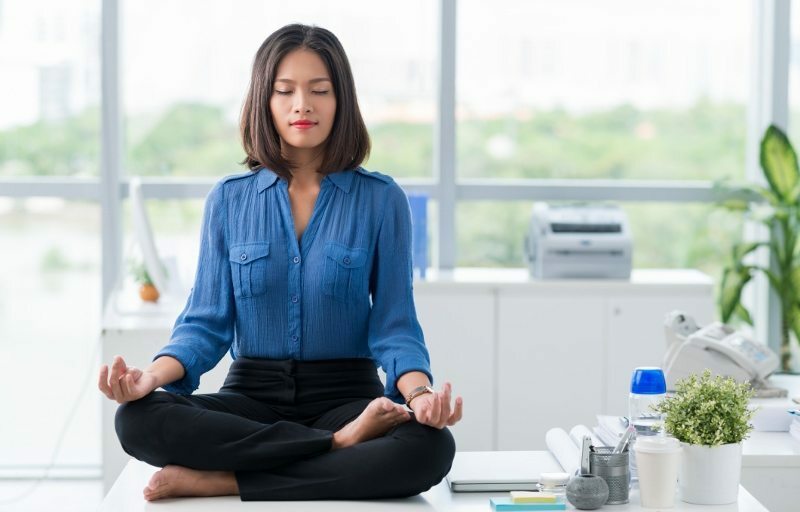 Even top international companies, such as Apple, Google, Deutsche Bank, Procter & Gamble and General Mills have started mindfulness programs for their own employees. If this sounds good to you, but you’ve never considered these concepts, have no fear. We’ve found 10 mindfulness work habits that can set you on the right path. Try using a pomodo timer to schedule regular breaks for yourself to get fresh air. Take a 5-minute break and try to only think about one non-work-related thing, such as your breathing or the act of walking. This will ensure that you get up out of your seat regularly as well. People who do continuous, intensive computer work, such as data entry for prolonged periods, are at increased risk of developing problems such as visual fatigue, headaches, carpal tunnel syndrome, and back pain. There are no rules about how long you need to set aside for meditating, stretching, or even Yoga postures. So lunchtime or on an afternoon break is a perfect opportunity for you to spend 5 or 10 minutes just focusing on your body. Pick two or three stretches to hold for one solid minute each. If you’re in a place where it’s just not possible to move freely, try a meditation exercise instead. Simply focus exclusively on one thing for three minutes, such as your breathing or one specific sound, like the birds singing outside the window, or even the traffic going by. If you have a longer amount of time to spend on a focus exercise during a break, you may want to try listening to some meditation music. This is a great way to get started with mediation for someone who has never really tried it before. These recordings give your ears something to focus in on and thus, begins training you mind to focus on one thing for an extended period. 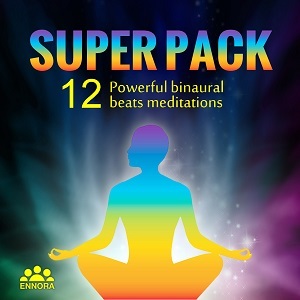 Try Crystal Clear Mind – this track contains binaural beats frequencies that entrain your brain to relax and focus. You can also listen while you work too. This is a great way to induce relaxed concentration and create a calming headspace within which to work. If stress is taking hold of you within your day-to-day tasks, you may try a different approach by tackling one item on your list at a time. Pick your task and only address that one thing until it is completed. The idea is to stay rooted in the present moment. Slowing down and being present can have far more profound benefits rather than constantly spreading your focus onto the next task or project. Though the later may seem productive, by being present you will be able to enter a better state of workflow that will be more productive. One sure-fire thing you can try is to focus in on what someone is telling you. This also goes for listening to others and developing better working relationships. Don’t just listen to what others say, but really tune in and hear what this person is conveying, mentally, emotionally and physically. The result will be that people around you will feel understood and more supported by your attention. You will build better relationships, and in return, people will be more interested in your thoughts and actions too. It’s win win. Staving off hunger is important for focus, but be careful what food products you eat. Eating a healthier choice of snacks like nuts and fruits instead of sugary and processed foods will have far reaching benefits in strengthening your mind. By sticking to the more natural sugars from fruit you will maintain a more consistent level of energy throughout your day. Processed sugar will spike your energy level after a short period of time sends you crashing down. The same rules apply for sodium. The high amounts of salt in snack foods will peak your blood pressure and leave you feeling low on energy and enthusiasm shortly after. Also, watch your caffeine intake. Coffee and energy drinks get fast results, but if overused will destabilize even the steadiest hands and cause intense crashes. Want a boost? Try drinking (100%) juices cut with water or soda water. The sweet juice is a nice treat while the water dilutes sugar intake. Nap time isn’t just good for children. Studies have shown that a short nap of around 20 minutes can help to improve your mood, alertness and performance. This type of “power nap” can provide significant benefits in terms of improving your ability to concentrate and mood. But the length of snooze is an important factor. Set an alarm and aim for 20-30 minutes; beyond that and you might fall too deeply into a sleep cycle and be left feeling groggy. This could in turn have a negative affect on the quality of your nighttime sleep. Keep your work space tidy. Logic would show that if multiple tasks are piled up in front of you, your stress levels will naturally rise. Check out the most efficient businesses across the globe and you’ll be sure to find clean, well-organized workspaces. If you want to create an environment where you can improve your performance and productivity, make sure that your overall workspace is orderly. Keep your space well managed and your mind will follow suit. Read up on the art of “Feng Shui” to help optimize your workspace. Doesn’t it give you a spacious feeling of coming home when you dip your toes in the sea by the beach? Doesn’t it feel liberating to take a walk in a park? These are just a couple examples of how connecting with nature makes us feel awesome. So if you are stuck indoors all day at work, it’s important to create as many real-world connections as possible throughout your day. In addition to taking a walk outside – which should be a regular feature of each day – start by bringing the natural world to your workspace. Introducing a potted plant, flowers, or seashells into your space can have a positive effect on your mood and general disposition. Nature-inspired objects and living organisms like plants inject a relaxing sensation into your environment, so you may want to consider adding something green to your desk. Observe your daily relationships and use each as a cue to remind yourself to be empathetic. Take a friend, or even an enemy, and begin trying to see things from that person’s perspective. Really try to understand how that person is feeling and how your interactions with that person might be perceived. By taking time each day to do this you will learn to become more empathetic, connected and generally tuned in when dealing with your peers. Remember, better work relations will improve overall productivity for everyone. This may be one of the most important aspects of mindfulness. You must learn to be patient with yourself as well as others. Mindfulness is accepting yourself and life in this moment, no matter the situation. All we have is this moment; there is no past or future, they don’t exist and can’t help us in any way. What is happening is now and we must accept it in order to derive the best possible outcome. Getting stressed out over things beyond your control will only cause you a headache, and keep you back from realizing a potentially positive solution to a the circumstance. When you start seeing red, take a step back from that moment and observe the situation objectively, like a fly on the wall. See the reality that anger and frustration do not help in any way. These are negative emotions that cause tension and further stress. Take a few long, deep breaths and calm your mind. Connect calmly with the core of the problem and see the true nature of the issue. It is in this moment you will be able to see a clear path to resolution.